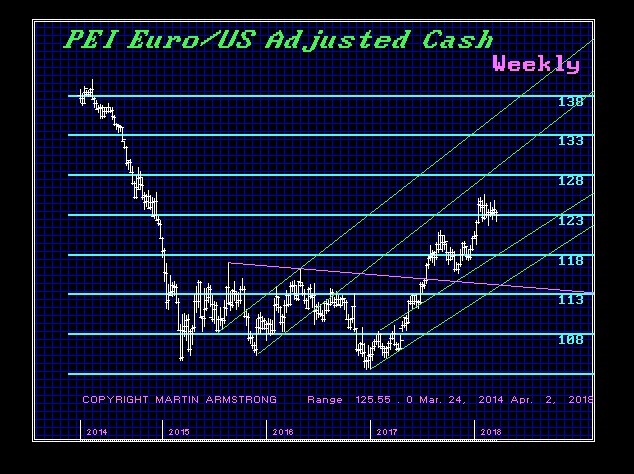 Has the ECB Been Manipulating the Euro? There have been persistent rumblings behind the curtain that the ECB has been “frowning” on anyone taking short positions on the Euro. They have already outlawed shorting government bonds and they are trying to wrestle the market in the Euro from London to bring it within their power and control. Up until now, they have been politely discouraging shorting the euro. The Brussels empire is crumbling before our eyes and with each and every step, the EU Commission is moving to eliminate free markets because they have been moving against the dreams of the EU Project to federalize Europe without federalizing all the debts of member states. 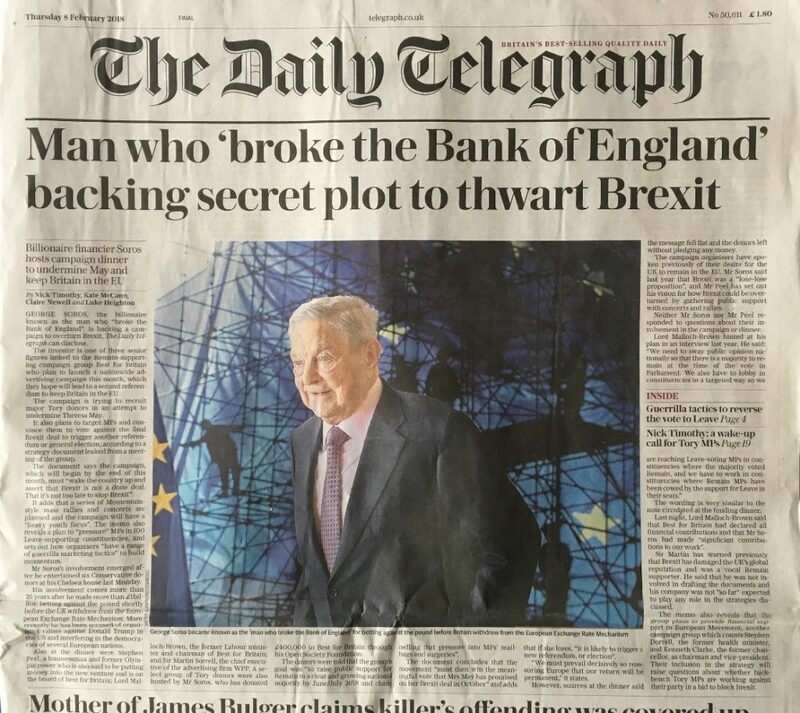 The Telegraph in London published a piece where they call the “remain” crowd supported by George Soros ‘remainiacs’ who are trying to halt Brexit and like those in Brussels, think the people are too stupid to understand what they even voted for. They obviously hate democratic votes when they go against their goals and this is why they want to go fully into the EU which has also eliminated democracy since their leaders are also all unelected running Brussels machine to subjugate all of Europe with the same goal of Napoleon and Hitler – to create the United States of Europe. They appropriately called the deal would keep Britain shackled in a ‘Hotel California’ Brexit – one where you can check out anytime but you just can’t leave? He points out that even the last President of the Commission, José Manuel Barroso actually called it an empire. Indeed, our models agree that the EU must be seen as an empire and the member states are just vassals no different from the Soviet Union, the Athenian Empire (454–404 BC) and its the Delian League, or even the United States. Not a single empire has ever survived because centralized control and dictatorship is unable to comprehend the difference within the economic trends of its vassal state empire. It attempts to impose one rule upon the whole, which historically always fails. When the Federal Reserve was first established, it had 12 branches and each was autonomous. The structure recognized that there were regional differences based upon the economic dominance of each region. Some were oil based, others agricultural, and others leisure and still others were manufacture or financial. 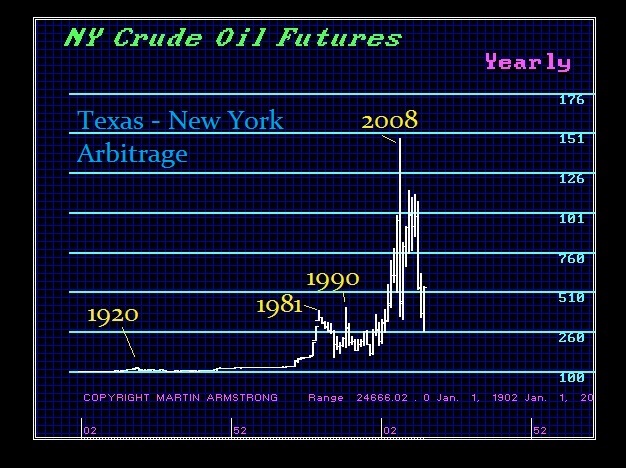 It was always the New York Texas Arbitrage because when oil was booming, inflation rose and when oil crashed stock markets and bonds rallied. Even in Canada, it was the Western commodity regions against the financial East of Toronto. To this day, we see rising separatist movement in Alberta all because of this same disease from trying to run an empire from a single central rule. One size does not fit all! As pointed out in the Telegraph, the models used to analyze the risk of the fall of empires is surprisingly simple. The risk of collapse in empires is when the complexity of a central government reduces the benefits of individuals in a society. It emerges when the government sees itself as the sovereign nation and the people as the great unwashed economic slaves to be exploited. Indeed, this very simple analysis shows that even the United States is at risk of collapse. As I just explained, prosecutors are above the law and have absolute immunity. That is the essence of tyranny. Our model adds the economic backdrop and correlates this with the rest of the world and we see that historically people migrate economically when the costs rise, freedom declines, and the standard of living is in a bearish trend when even their children see their own future will be worse than their parents. This is why there was such a great migration to America from Europe. It is also why America was more isolationist. FDR had to plead for support in Boston to just send arms to Britain. That city was dominated by Irish who rejected sending their sons to battle to defend the English after their import restrictions on food for trade led to millions of Irish deaths. The refugee migration to Europe is economic. They see the opportunity for a better life. That is the very same reason the barbarians invaded Rome. The Ostrogoths when they invaded Rome, wanted to be Roman. They issued coins imitating the Roman Empire after Rome fell in 476AD. They tried to pretend to be Roman but they failed in culture and management skills. This demonstrates that the invasion of Rome by the barbarians was economic. Even in the USA, the net migration from Illinois to Texas and Florida is economically driven. The Greek youth have been migrating because there are no jobs and they see no future in staying in Greece. These are the signs of how an empire crumbles into dust. The entire project has been a con-job. They introduced the currency FIRST and believed they would gradually move to federalize Europe thereafter. The failure to consolidate the debts was devastating. They effectively wanted a free ride with leaving the garbage behind. Then, because the debts were not consolidated, they left each member state to also retain its central bank. Then they tried to enforce spending criteria on each state in one-size fits all policy. This has been the federalization of Europe on the cheap. Nobody in their right mind would have begun a country with such a model. This is why the European Project is going down in flames and the very thing they convinced themselves was the real purpose, to end European wars, they have ignited the old hatreds that have existed within Europe for thousands of years. All the manipulation tactics in the world will not save the Euro. They have made it illegal to short Eurozone bonds. The currency will be next. They are converting the Euro into the old Russian ruble drained of liquidity. Euro accounts are being charged 2.4% annually to have more than 100k in the bank. This is a tax on money.